When Meaghan first reached out to be about doing an adventure session, she mentioned that she and Fraser would be on a long road trip from British Columbia through a number of states including Washington, Wyoming, Utah, California, and Oregon. 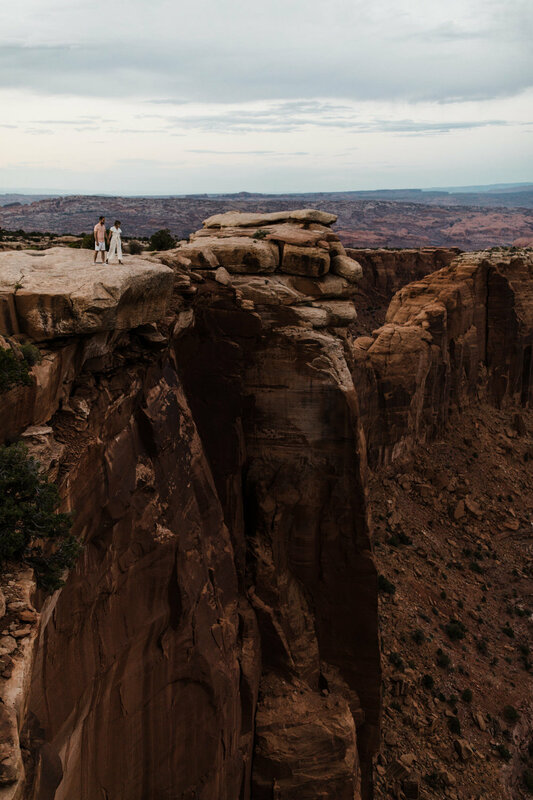 After looking through our schedules and considering meeting in Olympic National Park or Glacier National Park, they ended up deciding on Moab, Utah because they loved our desert photos. I didn't mind one bit...we all know Moab is my favorite place! After choosing a spot, she mentioned that she and Fraser were doing this trip as an alternative wedding...they decided to forgo the typical huge wedding party and brought rings along the road so they could exchange vows somewhere private, just the two of them. They decided they still wanted to celebrate the exchange with photos, so they booked a session with us the next day! 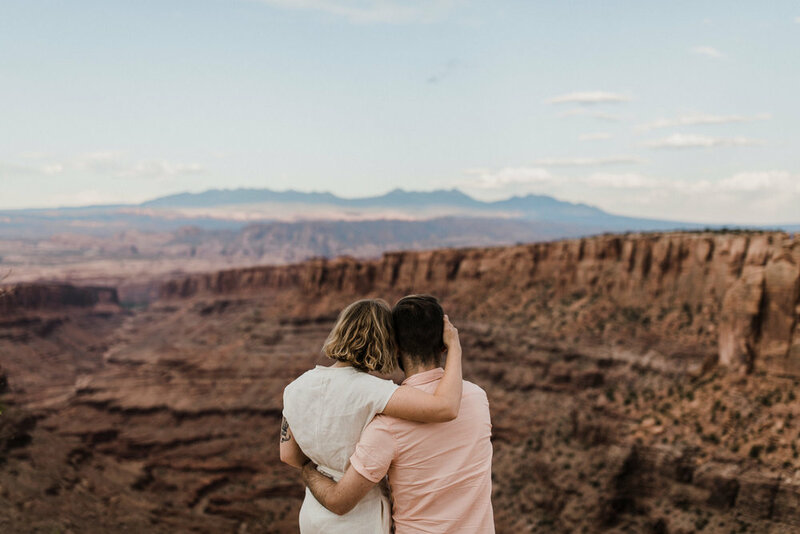 After spending the evening with them, from dinner before, to the gorgeous desert session up above Moab, to sitting around afterwards talking and enjoying the warm desert air, I am certain this plan was just right for them! I feel like these photos represent their personalities so well, and the idea of a private vow exchange in the desert the night before was so Meaghan + Fraser. Also - can we talk about how amazing Meaghan's white jumpsuit is?! It was the perfect unconventional "wedding attire" for their perfectly unconventional elopement. We had so much fun getting to know these two and I really hope we get to see them again soon!